Union Public Service Commission (UPSC) has declared the final result of Indian Forest Services (IFS) examination today on March 21, 2017. UPSC has published the final result of Indian Forest Service Examination, 2016 on their website. The UPSC IFS Final Result 2017 has been calculated based on the marks attained by the candidates in their Indian Forest Service (Main) examination held in the the mont of November, followed by personality test held in February-March 2017. A total of 110 candidates have been selected in the IFS final result declared today. Click here to check your UPSC IFS 2017 final result. UPSC IFS 2017 final result has selected 48 General, 37 OBC, 17 SC and 08 ST candidates for the 110 posts in different government offices. Names of 11 candidates have been left provisional in the list. 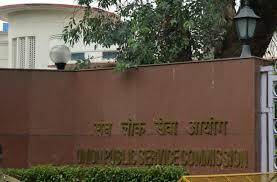 Candidates will soon be able to check their total marks attained on the website of UPSC. Any clarification or information regarding the results will be provided in person at the UPSC ‘Facilitation Counter’ near the Examination Hall Building of UPSC campus in Delhi.